Default policies are access to repository author only. You may want to edit that. 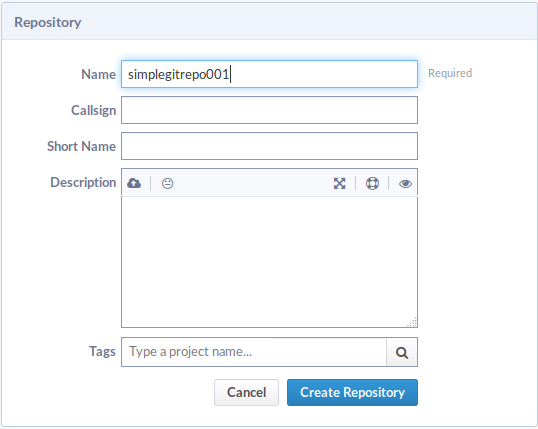 The first step is to define the visibility of the repository. There are several fine grain options to adjust the visibility. Visible means read access, Editable means manage (via the web interface), Pushable is access to the repo in write mode. Other options are in particular: "Public", which will make the repository accessible to anyone (even logged out) and "All Users" are all logged-in registered users of c4science. 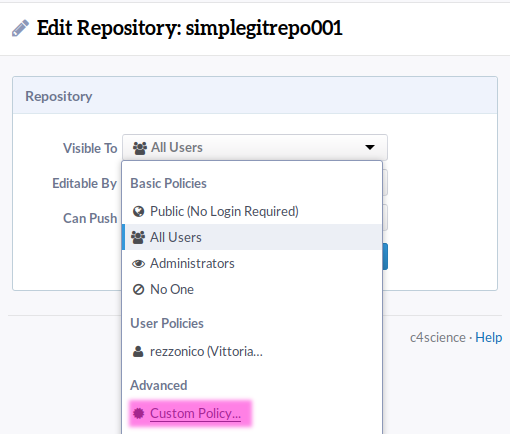 You can also set similar policies for Edit (this means: managers of the repository) and Push (this means contributors). Now, you can go to Basics → Actions → Activate Repository. Let's have a look at your repository now by clicking on View Repository. You can see access URLs for https (you need a VCS password for this) and ssh (you need to upload a SSH key for this), Those are the URLs to be put after git clone in your command line. 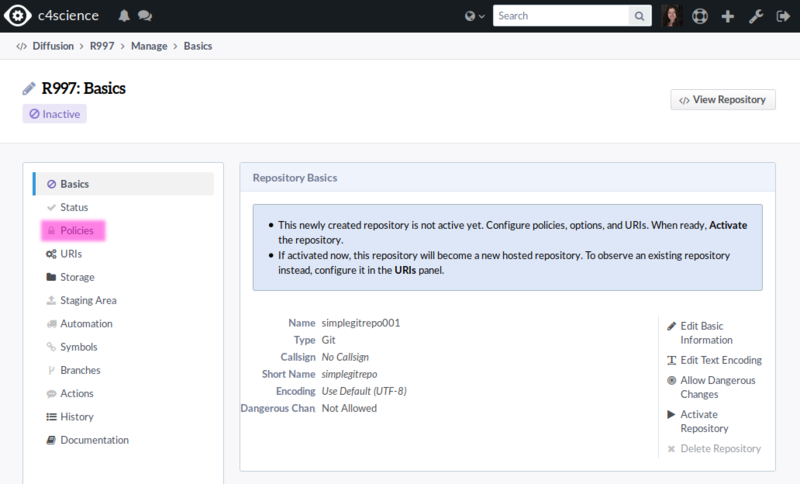 The Manage Repository link will take you back to the configuration menu. Replace https://c4science.ch/diffusion/997/simplegitrepo.git with the URL shown in your actual repository. You will need to enter your c4science username and the VCS password or configure ssh properly if needed. git commit -m "README.md file added"
...after some time (less than a minute), you can see the files on the web interface. • ajdelalo removed a subscriber: • ajdelalo.